Austin is home immense beauty. The tranquil hiking trails, jaw-dropping views, and dazzling attractions keep this city booming. 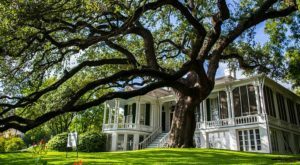 If you’re aching to experience the magnificence of Texas’ capital city, then this list will help you do just that. 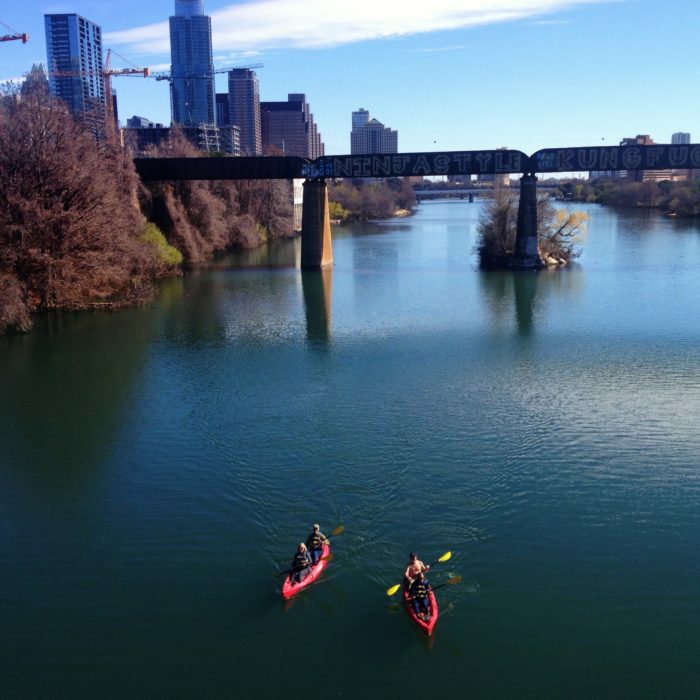 These are 10 awesome outings everyone in Austin should take before they die. 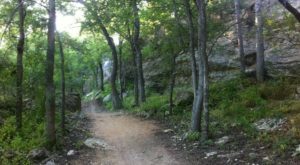 Old Settler's Park is full of lovely hiking trails and picnic spots, but the biggest highlight is for the little ones. 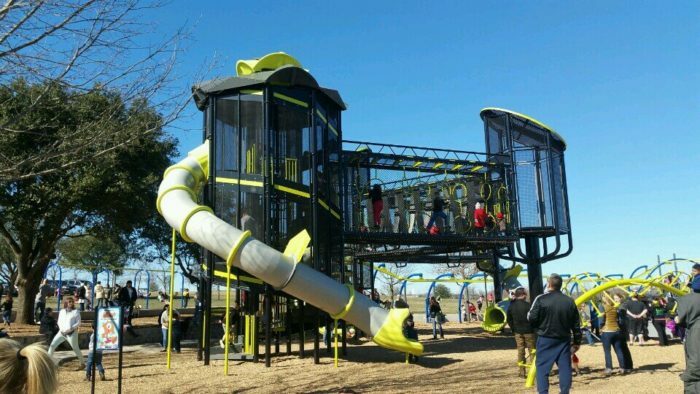 Joanne Land playground is a whimsical structure full of exciting slides, swings, and obstacles. 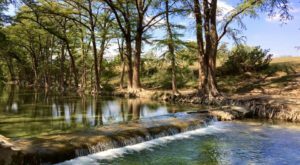 Whether you come here for an adventurous family outing or a peaceful solitary stroll, Old Settler's Park will certainly dazzle. This getaway is located at 3300 E Palm Valley Blvd. in Round Rock. 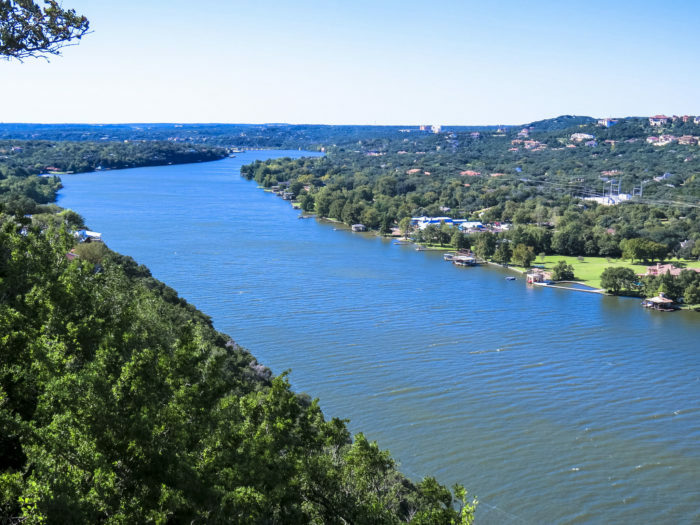 This breezy, 3.5 mile hike proves that Austin is home to unrivaled beauty. Watch the sun set over the water, search for colorful birds, and feel the breezes hit your face. This gorgeous hike is the perfect way to relax and unwind. Roy G. Guerrero Park is located at 400 Grove Boulevard. This stunning shot is only the beginning. To see more, read our feature article here. 3. Wander through the whimsical stickwork sculpture at Peace Park. 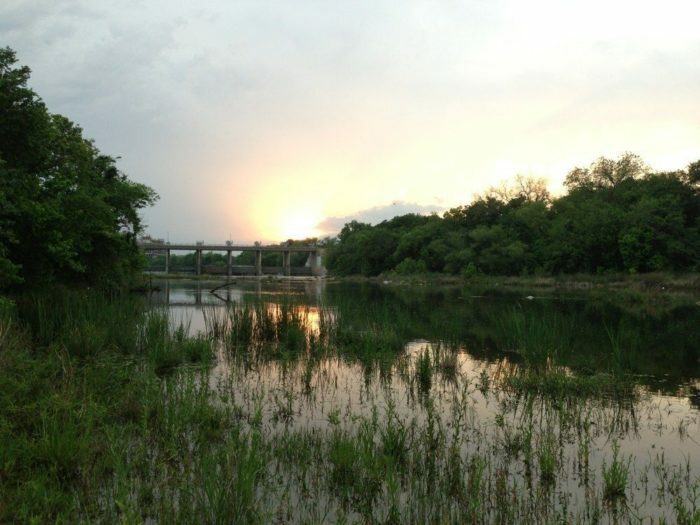 Austin's oldest park is full of wonders. In addition to the tranquil greenbelt trails, Peace Park is home to some truly stunning works of art. The newest addition, entitled "Yipee Ki Yay", is made entirely out of natural materials. 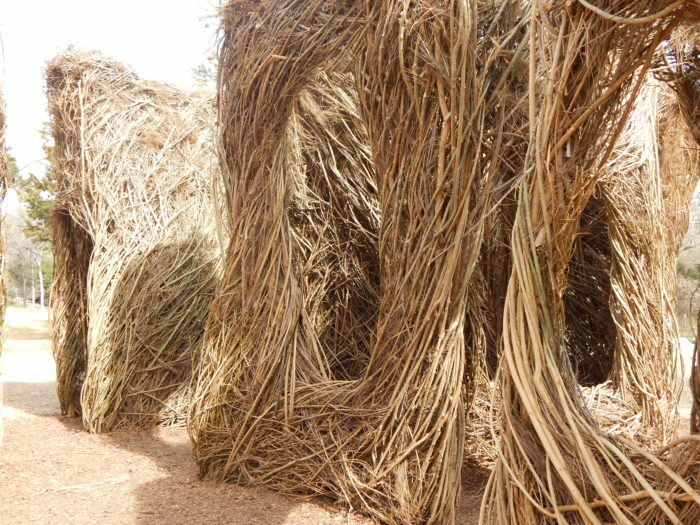 You can weave in and out of this magical nest-like structure and let your imagination run wild. Peace Park is located at 1100 Kingsbury St.
Look over the glistening Colorado River from 775 feet up. 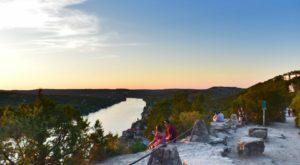 Mount Bonnell has awed Austinites for decades, and it's a popular place for picnics and marriage proposals. No matter what brings you to the top of this mountain, you're certain to feel its magnificence. 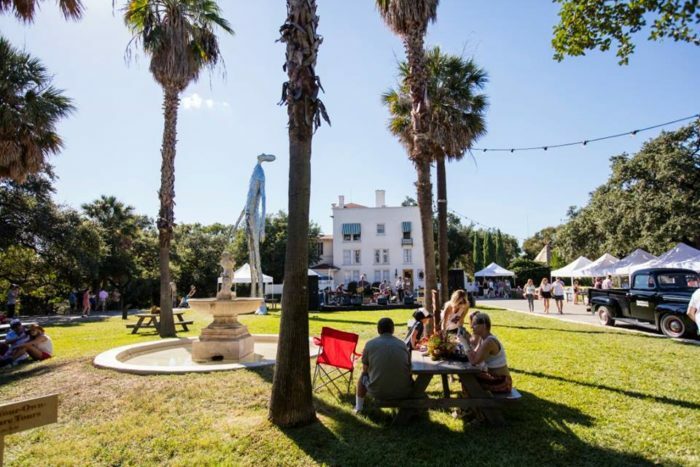 The Contemporary Austin is responsible for so much of the beauty in this city, and Laguna Gloria is no exception. This picturesque oasis is full of history, nature, and art. You'll feel your troubles melt away as you hike through the shaded trails and explore the gorgeous gallery. Laguna Gloria is located at 3809 W. 35th St.
6. 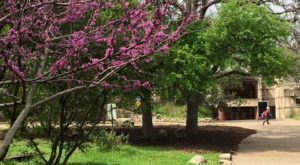 Learn about Austin's surroundings at the Nature and Science Center. 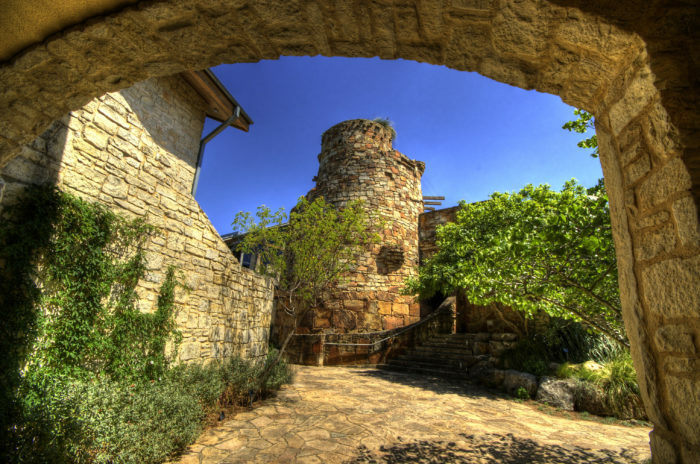 The Austin Nature and Science Center is home to an underrated nature preserve, rare animals, and educational exhibits. Young ones love digging for "dino bones" in the giant sand pit and gathering treasures at the trade counter. This free getaway is located at 302 Nature Center Drive. Winter, Spring, or Summer -- this glimmering lake is always stunning. Although it's technically part of the Colorado River, this body of water is dammed at both ends to create a lake. If kayaking isn't your thing, you can also enjoy the views along the 11-mile hike and bike trail. 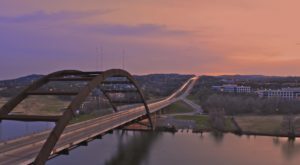 You don't have to wait until Spring to experience this Austin gem. 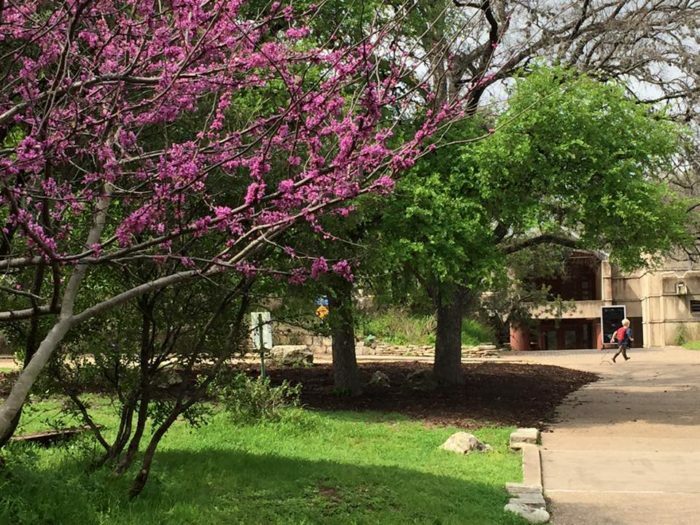 There's always something beautiful blooming at The Lady Bird Johnson Wildflower Center. 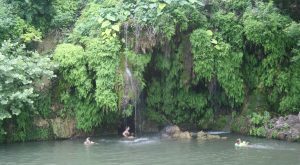 Take a scenic drive south of the city and experience the rustic scenery around you. You'll find this oasis at 4801 La Crosse Ave. This free museum is home to some truly fascinating pieces of history. Stare at a rare Gutenberg Bible, gape at the first photograph ever taken, and read first drafts of Arthur Miller's plays. New exhibits pop in all the time, so it's always worth a second look. 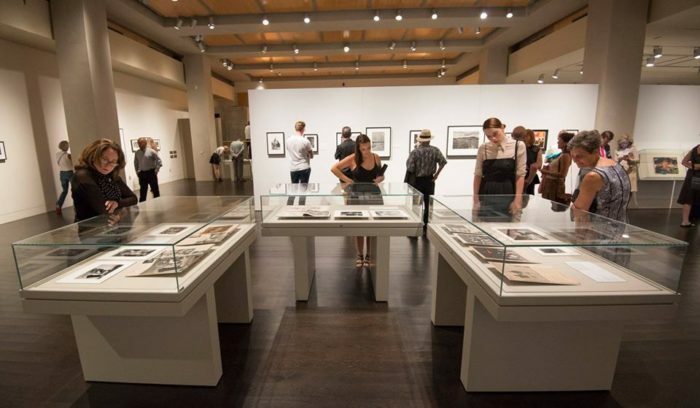 The Harry Ransom Center is located at 300 W 21st St.
Hungry for more? Take a look at our feature article here. 10. Take a day trip to Sidecar Tasting Room. 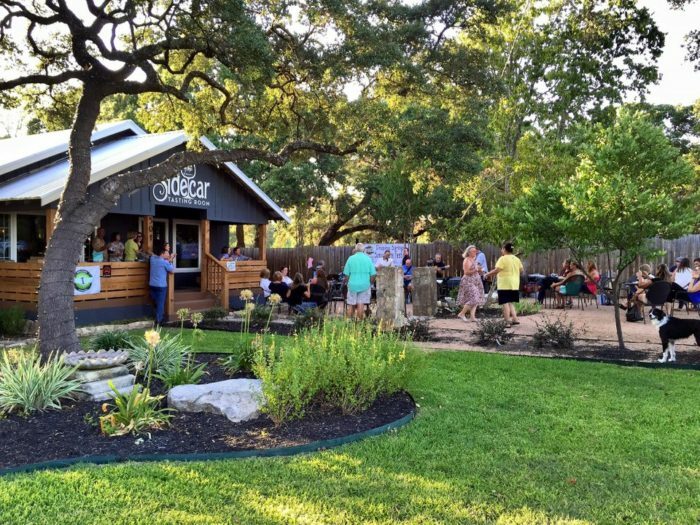 This charming cottage serves the Hill Country's finest wines. You'll love sitting on the front porch and sipping on a refreshing chardonnay. If you're hungry, you can order a plate of good old-fashioned comfort food. Sidecar Tasting Room is located at 501 Old Fitzhugh Rd. in Dripping Springs. Want to learn more about their wine selection? Read our feature article here. 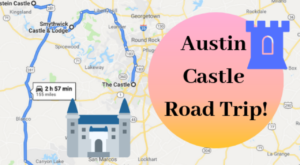 What Austin outing would you add to this list?